Calling all ENFOS users! 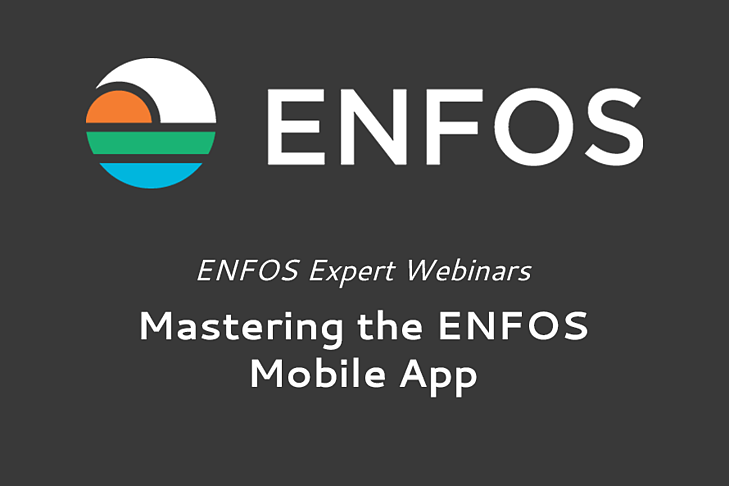 We're happy to announce the latest in our ENFOS Expert series of webinars: "Mastering the ENFOS Mobile App". Torrie Behrens will teach you how to fully leverage the ENFOS mobile app - showcasing the full spectrum of functionality of both the iOS and Android versions. You'll learn about the many ways that ENFOS users, Vendors, and Administrators can use the app. This includes Action Items, Site Summary, Compliance, Address Book and User accounts. These 1-hour ENFOS Expert webinars will continue to take place throughout the year and be recorded and available to users who cannot attend the live session. They will act both as refresher training and as a way for you to increase your proficiency and get the most value out of ENFOS. The webinar will take place on April 3rd at 2pm EST.